Thank you to Gattuso’s and to our krewe members for supporting this great cause! Also, thank you Stacey for organizing this event for us! On Monday, September 25, 2017, the Krewe of Cleopatra partnered with Guttuso’s Neighborhood Bar and Grille to raise money for Hurricane Harvey victims. 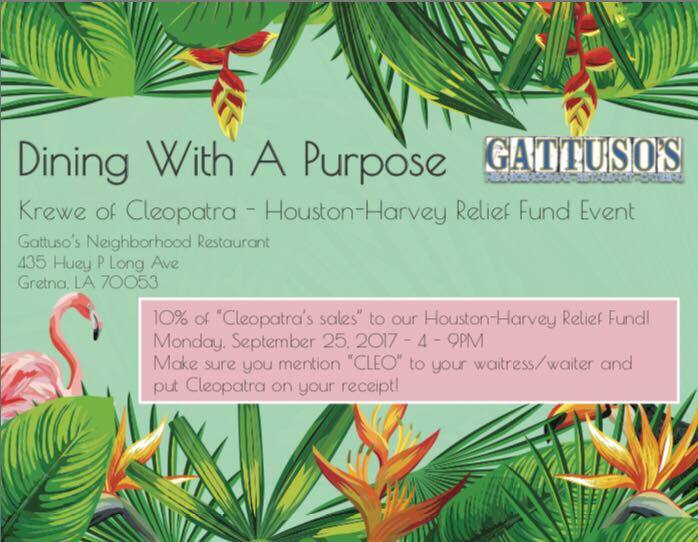 Gattuso’s donated 10% of the profits made from Cleopatra’s Krewe dining for a purpose to the charity of our choice!